It finally hit me today: it's almost Christmas! When did that happen? Oh, right. When I wasn't paying attention. And suddenly I realized that all these crafts I'd been meaning to finish and meaning to start had to get done NOW. Hence the reason I haven't been outside today. Here's one of the crafts that I finished. An elephant monkey. 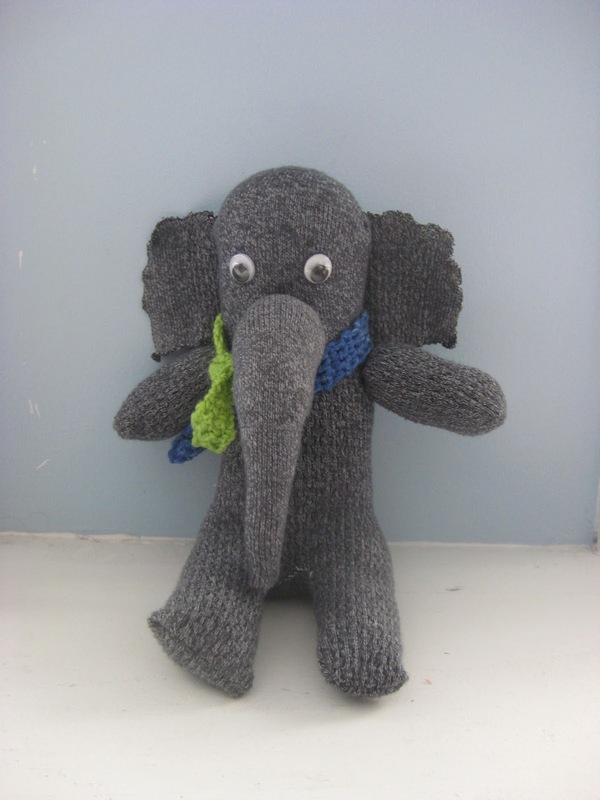 Pretty much, I did the same thing as I did for the sock monkey, but instead of using the heel piece to make the tale, I used it to make a trunk. I will be the first to admit that the trunk park could use some work. (The elephant looks a little more like Gonzo than I would have liked...) But I love the ears. Hopefully my niece will like him too. Only a few days to find out. Hope everyone has the happiest of Christmases!